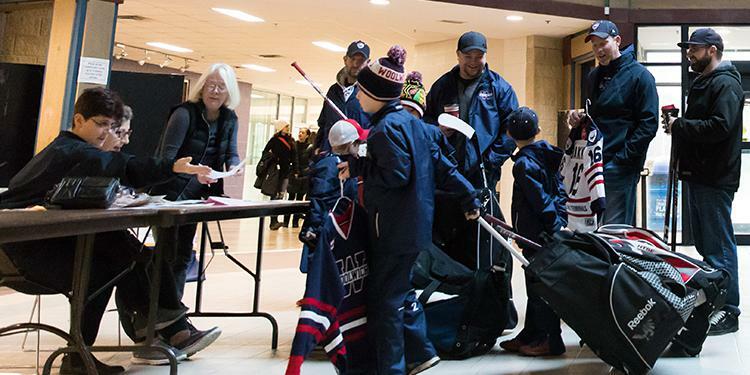 Volunteers are the lifeblood of minor hockey. An extremely dedicated group of parents, community members and administrators give their time to ensure a positive experience for our young athletes to play this great sport. 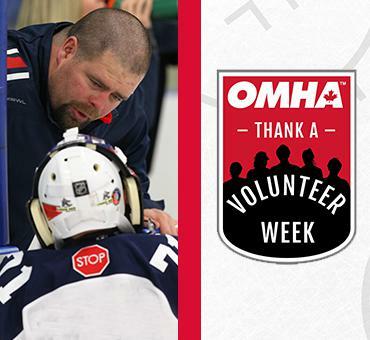 The OMHA takes great pride in having an outstanding group of volunteers across its centres. Parents can choose to volunteer their time on an administrative level with the association or get involved in with their child’s team. Every bit helps – from organizing community Hockey Gives Back events to creating a carpool schedule, these things all add up. These actions, while some may feel small, are crucial to the big picture and are important pieces to the puzzle. There are associations who rely on a few number of volunteers do the work of many and having one extra person contribute their time can help immensely. Organizing registration, payment, scheduling and standings are all areas that volunteers dedicate their time into ensuring that everything runs smoothly. They are always looking for parents who want to contribute and get engaged. From February 25th to March 3rd, the OMHA wants to thank everyone who spends their time to enrich the lives of kids through hockey. Take a minute for those who give hours and say thank you. “I had a young kid playing. He started in the Initiation Program. I just wanted to do something to help out. I’m not a really an outgoing person. To get into a leadership role I think brought me out of my shell, for one, and I absolutely love it. Every minute of it,” said Ann Flynn, winner of the Patricia Hartley Administrators Award. Within the team, there are a number of roles that parents can take on. Have experience in events? Offer to assist in booking hotels for tournaments on the road. Is everyone raving about your social media feed? Take out the camera and be the team photographer some games. Parents can work together to organize a rotating snack schedule or appoint someone to be the communication liaison between the coaching staff and the rest of the parent group. Much like the kids are teammates on the ice the parents can work as a unit off of it. Volunteering gives you a deeper understanding and appreciation for just how much work goes on behind the scenes into executing a successful season. Be able to knowledgably answer the questions from other parents when watching a game at the rink. Who says that the learning opportunities are just for the players? With all the time being spent at the rink for practices and games, you can support those around you even further. "I just wanted to do something to help out. I’m not a really AN outgoing person. To get into a leadership role I think brought me out of my shell, for one, and I absolutely love it. Every minute of it." “I love meeting the people. I think anybody that gives back to the community is great,” said Helen Ford, the OMHA Honour Award winner. Parents already do a lot for their kids in hockey. Organizing meals, getting to the rink on time, dedicating hours on the road for games and practices is making an impact on having a memorable season. See firsthand the benefits of volunteerism in your community and the direct impact you are making as a positive role model. Whatever level you decide to get involved in – we notice and appreciate the work you are doing! If you are interested in volunteering, reach out to your local association or your team’s coaching staff and see how you can help.